Sign up for STEP Saudi 2020 2-for-1 Offer! STEP started out as a series of workshops and small gatherings, and over 7 years has grown to become the largest tech experiential festival in the Middle East. 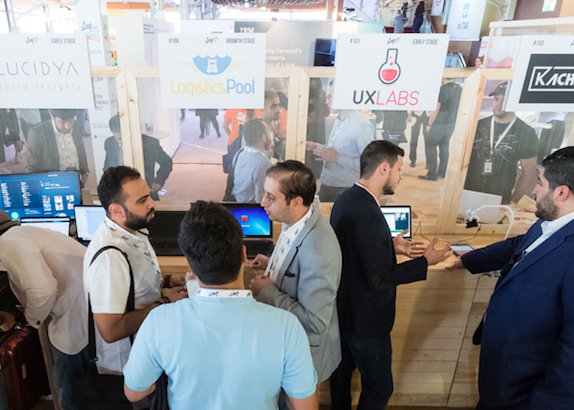 The last edition of our Dubai event featured 4 conferences, 250+ startups, and 6000+ attendees over two days. STEP is now launching in Saudi on March 25 and will be the new home to the best entrepreneurs, creatives, and digital enthusiasts. Director General of Building Technology Stimulus Initiative – Housing Program, an initiative that aims to drive a paradigm shift in the housing construction industry. With a MSc. in Engineering Management and Leadership from Santa Clara University, Mr. Benten’s careerhas focused on Business Development, Product Management, and the designing and developing of products to support the growth of SMEs. In addition to leading several government entities in their e-transformation journey and further seeks to play a vital role in contributing to the realization of Saudi vision 2030. Entrepreneurship Growth Director at Misk Innovation. Osama has served as a consultant at some of the world’s biggest firms, including McKinsey & Co., Strategy& and Ernst & Young. He has also worked at Amazon in Seattle. He currently heads Misk Foundation’s Tech accelerator / incubator program focusing on incubating tech and media innovation for the benefit of Saudi youth, creating tailor-made programs that equip them with the necessary skills for the country’s future vision. Osama is a graduate of the King Fahd University of Petroleum & Mineral and holds an MBA in Entrepreneurship and Strategy from Duke University. 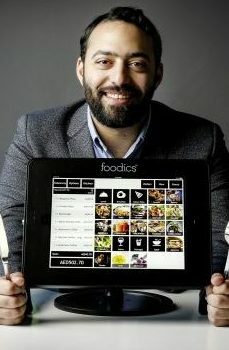 Ahmad Alzaini is the co-founder and CEO of Foodics, a fast-growing foodtech startup. 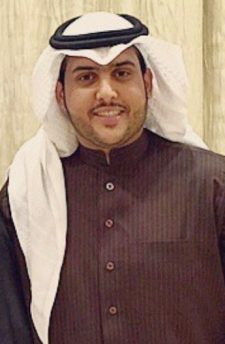 A businessman by nature, Alzaini is an app aficionado, developing businesses in Saudi Arabia within several industries. Today, Foodics has extended to new markets across the MENA region, processing over 1 billion transactions, and offering the latest technology in POS and restaurant management. 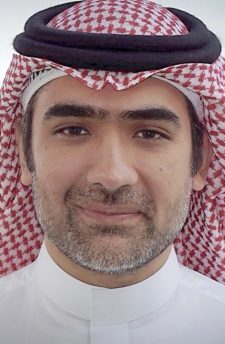 With more than 10 years of experience in technology investments, Abdullah serves as Managing Director of Investments for Integrated Networks (iNet), a leading technology firm in Saudi Arabia with more than $30m assets under management in venture capital across the world. 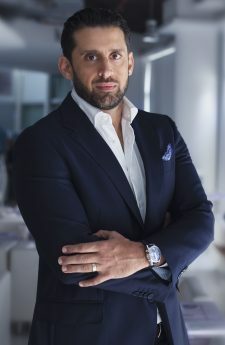 He sits on the Board of Directors for Loyyal Corporation (San Francisco, USA – Loyyal.com), HyperPay (Riyadh, KSA – HyperPay.com), and Eco4Pay (Dubai, UAE – Eco4Pay.com). By being an active board member in helping companies execute on partnerships building, revenue growth, and scaling strategies; Abdullah managed to successfully deliver more than 300% Return on Investment (ROI) on iNet investment portfolio for the past four years. Previous to current responsibilities, Abdullah worked with Merrill Lynch Wealth Management (Miami, USA) advising a team of VPs and their clientele on investment strategies, fund selection, and long term financial planning. He also worked with Cisco Capital (Miami, USA) assessing potential investment targets in South America, and Jadwa Investment (Riyadh, KSA) covering major global economies, regional micro and macro economic drivers, and investment selection in public equities market. 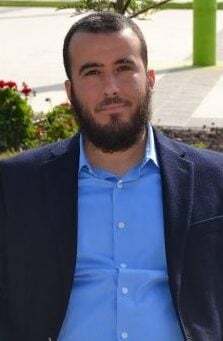 Academically, Abdullah is a graduate from University of Miami (Florida, USA) with both a Bachelors degree in Computer Science and Mathematics, and a Masters degree in Management of Technology. 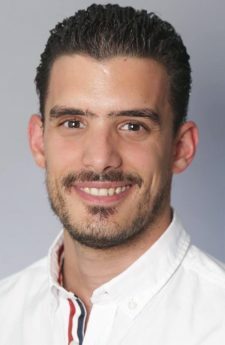 During his studies, he regularly engaged with the entrepreneurial community in Florida, and later in 2009 he founded PlayJoiner; a pro bono online platform for managing sport events and tournaments. Aside from his professional responsibilities, Abdullah advises local (KSA) entrepreneurs on how to attract venture capital and scale businesses, and government entities on building the ecosystem. An experienced professional with a track record of involvement in innovative projects in areas of e-commerce, retail, CSR, and travel and tourism. Managed to carve my niche in the e-commerce market with the launch of Chic on Edge in 2015 whilst working with A.H Algosaibi Group to help set up their CSR and Communication department. I then joined Tajawal and Almosafer as part of their strategy team as a project manager handling market expansion, payment solutions, new ventures, change management, and youth development programmes and many other projects and initiatives. Regional Learning & Development Director for Middle East & Africa at Microsoft where she is responsible for driving readiness for the organization across difference segments including sales, marketing, and business delivery in line with the overall strategic direction set in conjunction with regional and global leadership. Salma has been with Microsoft since 2006 and over the course of her career has gone from her initial technical role, to sales and marketing, before her current position. This exposure gives her strong insight as to the requirements and realities needed by different business segments when preparing and leading learning and development programs for the organization. Salma is a graduate in Computer Engineering and Information Systems from the Kingdom of Bahrain and was the first female Saudi employee to join Microsoft In Saudi Arabia , Her passion is learning and helping other realize their full potential in her own time Salma loves reading & dears every moment she has with her family & kids. 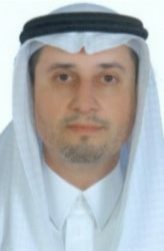 The CEO and Managing Director of Saudi Aramco Entrepreneurship Venture Co. “WA’ED.” Prior to joining Wa’ed, Mr. Al-Shafei joined Aramco Services Company (ASC), the U.S. subsidiary of Saudi Aramco, in 2012 as the manager of the ASC Technical Services Department. In this role he oversaw a wide of company activities, including the North America venture capital subsidiary Saudi Aramco Energy Ventures, as well as responsibility for engineering, information technology, quality insurance and inspection, environmental stewardship, megaprojects and project support, and technology transfer. 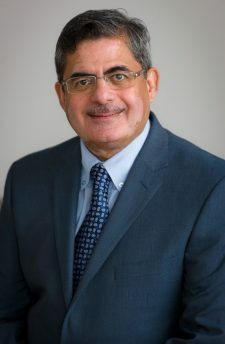 Prior to joining ASC, Al-Shafei was appointed as the interim president of the King Abdullah Petroleum Studies and Research Center. In this role, he oversaw the center’s development and launch, including strategies for research, human capital, information technology, finance, procurement, and public relations; as well as the facility’s construction. He recruited the Center’s executive staff, and led the launch of the Center’s inaugural conference in 2011. Al-Shafei spent more than 30 years with Saudi Aramco, a fully integrated, global petroleum and chemicals enterprise, serving in numerous leadership and professional positions. As the director of the Research and Technology Program, he guided the development of the corporate strategic plan for downstream research and technology programs. 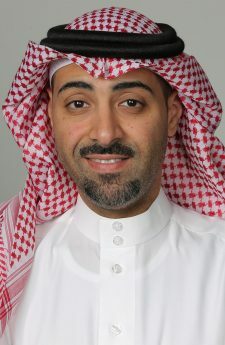 Al-Shafei also served as a member of Saudi Aramco’s Corporate Strategic Committee leading the development of the corporate strategies for clean fuel, oil to chemicals, oil to hydrogen, oil by wire, carbon and sulfur management; and he investigated the impact of environmental and legislative policies on oil demand. He also led the development of collaboration strategies within Saudi Arabia and global research institutions in Europe, the United States, China and Russia. 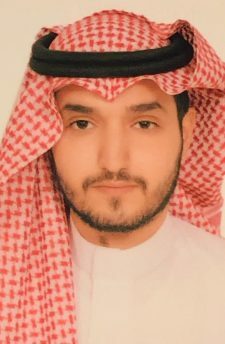 Al-Shafei, while serving as the Manager of Materials Planning and System Department, led the development of new programs to optimize the company’s supply chain management to reduce procurement cost and time, and to strategically position the company to take advantage of commodity market conditions. Al-Shafei was the chief editor of the Proceedings on Engineering for Calcareous Sediments and has published several technical papers at industry conferences worldwide. He was also one of the founders of the American Society of Civil Engineers-Saudi Arabia Section and was elected president for two terms. During the course of his career, he has received several technical and leadership awards. Managing Director of Carriage Saudi Arabia; a leading tech company in online delivery in the Middle East. Omar is a business development expert focusing on tech startups and growth. Recently he was involved in the investment attraction, business relations and international trade fields. He previously worked in the renewable energy R&D, food manufacturing and engineering consultation in the US, UK and KSA. 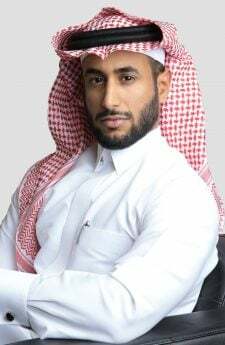 He is a Mechanical Engineer by trade with BSc & MSc from California State University and is active in the entrepreneurship and innovation scene in Saudi Arabia through startup advisement and mentorship. As Director of the Babson Global Center for Entrepreneurial Leadership, Amal is responsible for the strategic direction, tactical execution and operational oversight of the Center. The BGCEL focuses on expanding the practice of Entrepreneurship at all levels. She has a diverse range of experience in management, teaching, training and marketing related roles, particularly in education. Over the past four years, Amal has played multiple leading roles at King Abdullah University of Science and Technology (KAUST) and at the Entrepreneurship Center in particular. She managed the university startup accelerator, which was funded by Saudi British Bank (SABB) and hosted twenty-eight startup teams in its first edition with a variety of technologies including IOT, New Materials, Software and Biotechnology from 13 different universities. Amal managed the program design, sponsor engagement, startup mentorship and other related matters. Amal taught and co-designed a course in Entrepreneurship and Technology Innovation that was offered to Masters and Post-Doctoral students. She designed and taught in the executive education programs with a focus on innovation for companies and other institutions either in-house or at KAUST. Amal delivered training sessions in all signature programs designed for the needs of the customers. Prior to that she worked in the KAUST Seed Fund that worked with research startup funding and investments. 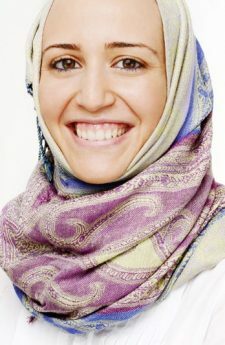 Previously Amal managed an educational organization where she designed programs and innovative initiatives to be implemented by educators in any available setting. 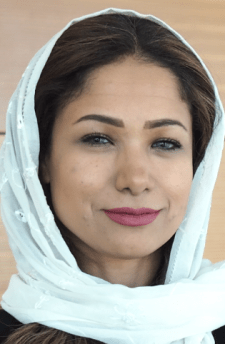 In addition to teaching, Amal ran her own business, which organized mega marketing events and offered commercial consultancy to large organizations. Her clients included several Dubai government departments, the Kaminski hotel ‘Mall of the Emirates, Infiniti Cars and other service providers. She was also involved with a joint venture with a startup in Dubai focused on creating media and production services to a variety of agencies including Starcom Dubai, Yahoo Dubai among many others. Amal taught Services Marketing at Wollongong University and published several business articles focused on services marketing. She has experience in coaching, training and mentoring individuals and teams. 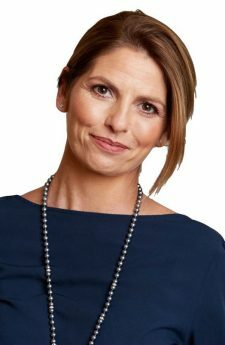 Combining seventeen years of working experience in education, strategic marketing, services design, coaching and training has given her an edge in delivering an experience designed to last. She participated in many international and regional events as a speaker and a trainer in innovation and Social Design Thinking such as TEDex, the annual Conference of the Islamic Development Bank in Mozambique and Jeddah, Startup Istanbul and MIT enterprise forum. Has more than 15 years of experience in Venture Capital, strategy, corporate finance and engineering within the digital, telecom, software and new media industries. 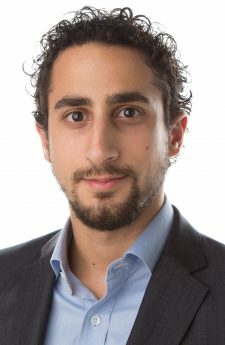 Prior to joining MEVP in 2010, Walid was a lead associate at Roland Berger Strategy Consultants and before that he worked as a strategy manager at the UAE’s Prime Ministry Executive Office focusing on public policy initiatives. During his stay in Dubai, he worked on setting-up entrepreneurship related programs and developing incubation in the Arab World through several Dubai based initiatives such as the Mohammed Bin Rashid Foundation. Prior to that, Walid worked at Booz & Company as a consultant covering telecom & media. Prior to Booz & Company, Walid worked as an industrial engineer in France. In 2009, he completed Morgan Stanley’s summer associate program within their investment banking M&A division in London. 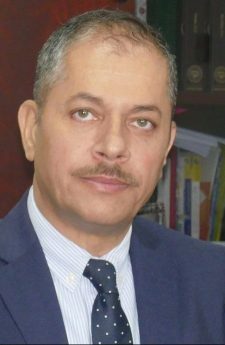 Walid holds an industrial and urban planning engineering degree from Institut National des Science Appliquées de Lyon (INSA de Lyon) and an MBA in finance from the Wharton School at the University of Pennsylvania. 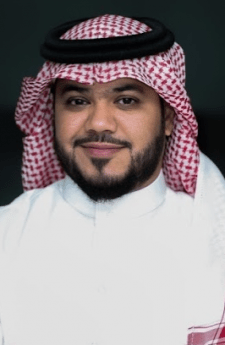 A Saudi entrepreneur and the Founder and CEO of PayTabs, a ground-breaking payment processing company which he started in Saudi Arabia in 2014. He is a dynamic passionate, focused and a hands-on natural leader, who is dedicated to supporting and mentoring young entrepreneurs. He is a self-confessed risk-taker, always open to opportunities as they arise and making the most of them. He recognises failure not as a failing but as a lesson from which to gain invaluable experience. After studying in the USA, he returned to his native country and started Paytabs when facing problems in finding a suitable payments gateway for one of his own business startups. Paytabs is one of the most exciting and successful new e-commerce businesses in the MENA region. So successful, indeed, that he raised a $20 million investment in 2017. He and his company have regularly been honoured by industry watchers both in the region and internationally. Mr Al Sahhaf has worked in the Badir Program for Technology Incubators owned by King Abdulaziz City for Science Technology (KACST), for the past six years. In 2013, he became the BADIR CEO and restructured the organization to strategically position it to become an internationally recognized world class incubation program and play a major role in improving the effectiveness of the Saudi entrepreneurial and innovation eco-systems. His major achievements as CEO are as follows: -Restructuring of complete Organization to bring in greater business and customer focus. -Establishment of Angel Investor networks in Kingdom. -Geographical expansion to Western & Eastern Regions by opening Incubator Programs in Jeddah, Taif & Dammam. -An association of Incubators under the name of Saudi Business Incubator Network (SBIN). -Launched HR initiatives for rationalization of policies and procedures, better employee orientation, structured training and development programs. -Developed & implemented KPI based evaluation in the organization -Launched CEO Open house, a forum for all employees to communicate their ideas and views to the CEO. 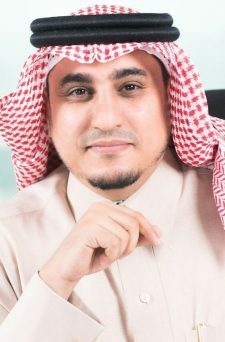 In 2012 as BADIR’s Commercialization and Funding Director, he led Badir’s development and establishment of the SIRB (an angel investor) network, an alliance of investors, technology entrepreneurs and innovation supporters in Saudi Arabia. Prior to joining BADIR, for seven years Mr Al Sahhaf was a Senior Consultant with the Saudi Industrial Development Fund (SIDF) assisting companies in researching and implementing business opportunities in the construction, manufacturing and petrochemicals industry sectors in local, regional and international markets. Al Sahhaf has degrees in International Marketing from the University of Strathclyde, Scotland and in Marketing from King Fahd University of Petroleum & Minerals (KFUPM), Saudi Arabia. He has been a volunteer consultant with the Centennial Fund since 2004, mentoring young Saudis who wish to establish successful businesses. Mazen AlDarrab, specialized in E-commerce, E-marketing and enabling companies to foster their work by maximizing the power of technology and e-business. Practically, Mazen founded and managed : E-Commerce SEA (2009-2012) an e-commerce company specialized in building e-commerce retail in Arabian region. Moreover, he is on the board of several startups and angel investor in several startups in Saudi and in the valley. 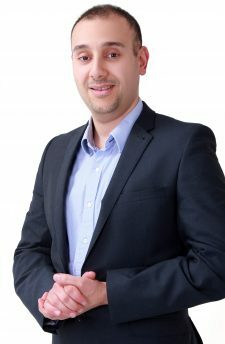 Currently, Mazen is the founder of Zid Holding for ecommerce (http://zid.sa) Academically, Mazen holds a Master Degree in E-commerce from The University of Western Australian and a Bachelor in computer science from King Saud University in Riyadh. Founder and CEO of Scopeer Crowdfunding, which is the first licensed equity-based Crowdfunding platform in Saudi Arabia. Abdulrahman have worked with several Startups based in Saudi to get their kick-off funding and assist entrepreneurs to launch their startups. Previously he worked with flynas, he was responsible about market insights and Business intelligence, Market research and marketing communication. 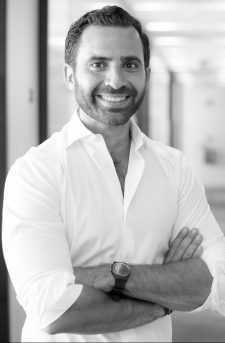 An investor with a background in deep tech, Hani Enaya is a partner at STV, MENA’s largest venture capital fund. Hani sources and structures deals with businesses of interest to STV and supports their management after deal close, sitting on the board of many STV portfolio companies. Former VRO Head (Vision Realization Office) at the Transport Ministry in Saudi Arabia, holds an MBA degree focused on Equity Investment and Corporate Strategy from Bryant University (Rhode Island, USA), and worked for several private companies before joining the Ministry. 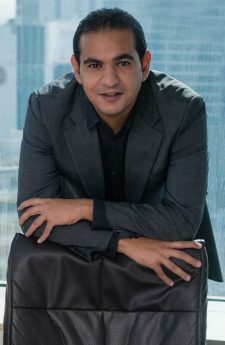 He worked in the field of asset management and equity investment advisory within the private sector, joined MODON briefly in 2014 as a Strategic planning consultant to complete its Modon2020 strategy, and had a regular column at Alriyadh newspaper as well as participating as an expert guest on several TV shows including Bloomberg TV. 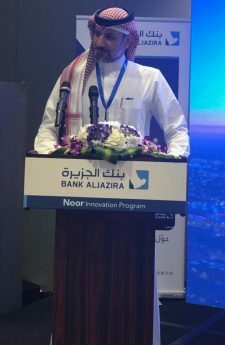 •	Co-Founder and Board Member at HalalaH Company, the first Digital Wallet in Saudi Arabia aiming at becoming the first Neo Bank in the country •	Founding member at the “MENA FINTECH Association” and Chair Person of “MENA FINTECH Association – Lebanon” •	A mentor and coach for startups at AUB – Olayan School of Business, ESA Business School and IM Capital •	Visiting Lecturer at multiple Universities in the Region •	An investor and investment committee member at Seeders Angel Investing Fund •	Has a long track record in investment management and corporate finance advisory specifically dealing with SME’s. •	Holds a Master of Business Administration from The University of Manchester. – Investment banking at Société Générale. – Co-founder of MarkaVip. – Member of the founding team & Country Manager at Souq.com – an Amazon company. 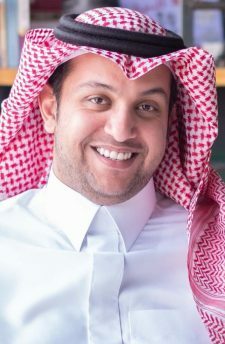 – Group CEO of noon.com – $1B JV between UAE & KSA PIF – CEO and Founder of Okadoc.com Today, Fodhil is leading a team of 40 who all share his mission to improve the healthcare experience for all and his ambition to establish Okadoc as the undisputed leading health-tech start-up in the region and beyond. Head of communications, Middle East & North Africa at Twitter. She’s a creative professional with over 10 years experience in communications, public relations, marketing, sales and business development. 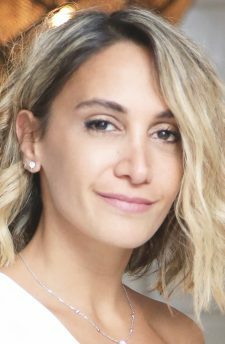 With a focus on Middle East and Asia markets, Rasha has leveraged her creative thinking, content and concept development skills in a variety of industries that include entertainment, sports, retail, tourism, technology, government and security. 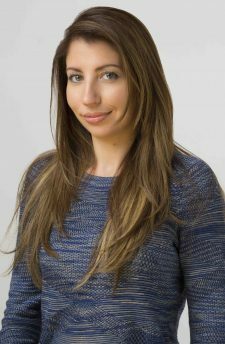 Having worked both in agency and corporate roles, as well as multinational plc’s and SME’s, Rasha has successfully set up communications, marketing and business development processes with experience in reputation management, mergers, channel management and product/service launches. Has 20 years of multi-disciplinary experience in technology, media, and financial services in GCC, South-East Asia and the US. 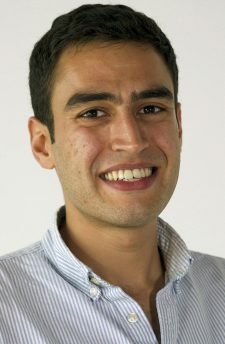 Abed founded of Vinelab, the leading influence marketing company that enables organisations to tap into the social side of social media by harnessing the power of people-centric narratives. By founding a tech-first institution, he has acquired exceptional understanding of the impact that social media has brought to shift the balance of power between the mass, corporations and cultural elite. Abed invested in multiple technology firms which enabled him to witness the digital economy’s earlier development, and currently advises a multitude of startups in the MENA region. Abed is a board advisor at the BAU’s school of Maths and Computer Science and holds a BSc. in Electrical Engineering from UC, Irvine. An Associate Partner with McKinsey Middle East. His work focuses on building tech and innovation ecosystems in emerging markets with a specific focus on building digital start-up ecosystems. A media and advertising professional who has over 18 years experience in Asia, the Middle East and Europe. In November 2018, I was appointed as Regional Managing Director which allows me the privilege to collaborate with over 120+ talented media professionals and some of the regions most respected and prestigious clients. I graduated from KFUPM in Dhahran 2001 with a bachelor’s degree in Electrical Engineering. Worked in STC in the Network planning and design then ventured into Mobily in 2008 as a network optimization executive manager In 2018 I joined the family of GEA as the Infrastructure Development Director in the Sector Development. 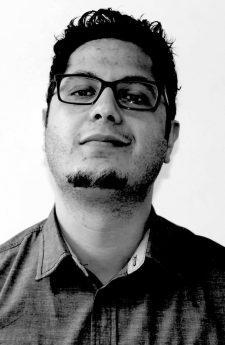 Mahmoud Iswiad is the CCO for AdFalcon. The leading mobile advertising and data monetization platform in the MENA Market. Iswiad has more than 14 years in business development and sales. Iswiad is responsible for AdFalcon media sales and big data monetization partnerships across Telcos, retails, banks and government organization . 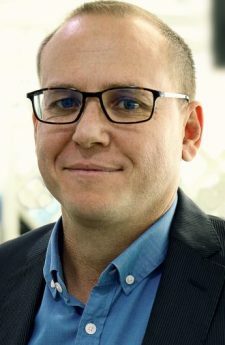 he is also responsible for AdFalcon technology distribution across tier 1 media agencies ( AdFalcon Exchange, AdFalcon DSP and AdFalcon network) Iswiad holds a BCs of computer information systems and diploma of information Technology. Regional Executive Director, Digital for MCN MediaBrands. In this role. 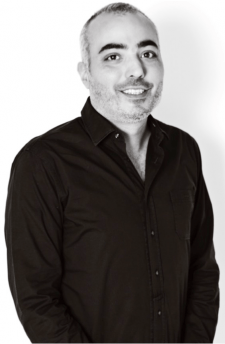 Mohamad leads the acceleration of MCN Mediabrands digital capabilities. 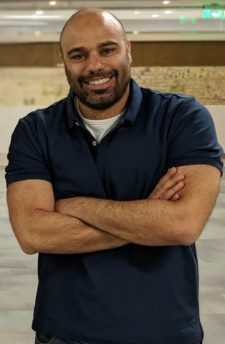 Mohamad works closely with the agency leaders to champion the integration of the Programmatic and Performance practice into the core of the agency operating model. 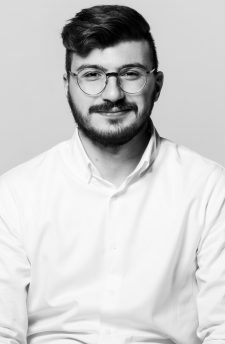 Mohamad works closely with the agency digital leads to craft a cutting-edge digital product that complements each agency’s DNA and strategic objectives, while providing guidance on the design of the commercial strategy. Mohamad Itani has 15 years of digital media experience, spent mostly at the cutting edge of new media, technology and data innovation. As a digital evangelist, he successfully established and managed multiple digital functions throughout his career. Rteil is referred to as a one of the youngest and most versatile go getters in the digital, media and innovation space in the MENA. “Rteil is a true child of the digital age. Her passion for all things tech and innovation related is evident in her talks, work and writing. She’s also a Webby honoree and her conviction is reflected in the statement, “It always seems impossible until it’s done.” When named 2016’s ‘Women to Watch in the GCC’. 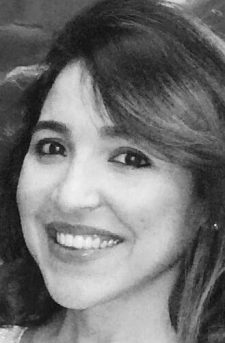 Today Rasha oversees organizational capabilities across the group as Regional Director of People Development at MCN MediaBrands. Rteil sets pace for ‘new skills’, spurring enthusiasm, and challenging the current ‘status quo’- a never ending tenacity to make the agency and people fitter to lead the industry changes. Passionate about the payment world and it’s new initiatives and innovative solutions. Glad to be part of shaping this sector being part of Saudi Payments Team, and looking forward to more to come with more solutions that will ease, secure, organize and definitely serve the end users from individual to cooperate as well as private and government sectors from all aspects. Most importantly, participating towards achieving the kingdom vision 2030 under this industry. 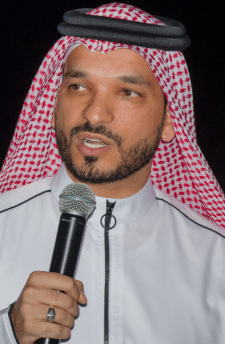 A Saudi-born American producer heavily involved in the Gulf region’s cinema and entertainment development. Mr. Nims owns an entertainment company based in the Kingdom of Saudi Arabia with several scripts in development and a consultancy business based in the USA. He sits as chairman of the American Business Group’s Committee for Cinema, Media and Entertainment. Movie credits include JOUD and BORN A KING both to be released to international cinemas in 2019. In addition to his work in film, Mr. Nims delivers a yearly course at KAUST University to its PHD candidates entitled “Cinematic Science” helping scientist to produce films communicating their research in partnership with the Cinematic Science Company. 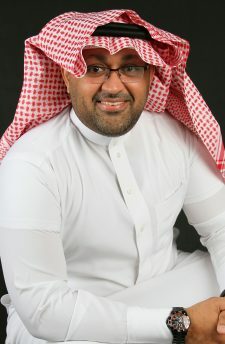 Director of the Innovation & Entrepreneurship Sector, Saudi Arabian General Investment Authority (SAGIA), Saudi Arabia Mazin’s entrepreneurial journey began in 2010 during his postgraduate study in the UK, where he started his own business, which focused on accelerating the development of entrepreneurs connecting them to international startup hubs. Mazin currently leads investment attraction and development for the innovation and entrepreneurship sector at SAGIA, specializing in venture investment development. Key focus of his work is the continuous attraction of startups and VCs to support the development of the startup ecosystem in the Kingdom. He also is a board member of the Global Entrepreneurship Network, Saudi Arabia. 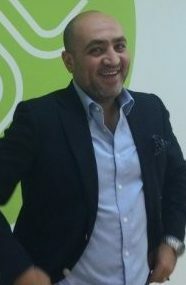 Prior to SAGIA, Mazin worked as a consultant at EY Advisory Services in Riyadh. 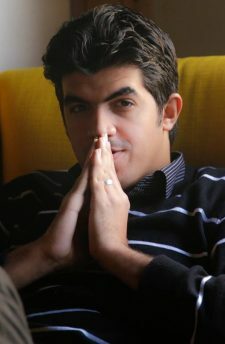 Mazin obtained his bachelor’s degree in Computer Engineering from the University of Jordan. He went on to complete two master degrees in e-Business and Cyber Security. He received his PhD in Cyber Security from the University of Warwick in the UK. Based in Saudi Arabia and having been born and raised in the US, it has given Wael the chance to bridge so many cultural divides. An educational background on Management and Information Technology with a Bachelor of Science in Computer Information Systems, from the University of South Carolina with the addition of Executive Education courses from leading institutions such as INSEAD and MIT has broadened his knowledge and improved his skills. Heading AlKhaleejiah Advertising & Public Relations Company, a subsidiary of the Saudi Research Marketing Group, a Media Representation Company that drives superior results at all levels. We’ve built the company around dedicated teams that leverage their industry specific knowledge to ensure that our clients get the best advertising solutions and results. Wael is in charge of shaping SRMG’s Digital Advertising Future, streamlining business operations, and solidifying partnerships with Advertisers. 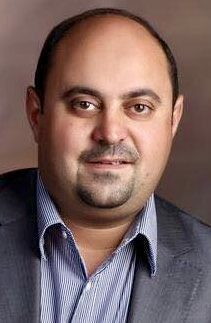 Mohammed Ramadani is an entrepreneur. He is a blockchain and ICO analyst, advisor, and investor. His greatest specialities are in strategy, branding, design aspects, as well as token economics. He is the Co-founder and Managing Director of ChainVisory; a full-stack blockchain consultancy company. Chief Communications Officer at HG Partners; a private blockchain investment syndicate. 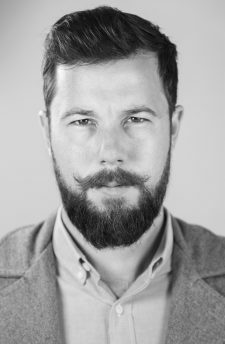 As well as the Co-Founder and Chief Operations Officer at The New Brand, Design; a San Francisco based design company. Graduated from Strayer University in Washington DC with a degree of business admenistration. Worked in Global Marbel and Granite in Virgina Stat for 3 years as sales and marketing officer and worked as sales officer in NCB auto leasing for a year then managed aftersales service for 2 year then moved to auto leasing business devilopment for 2 years and handled auto leasing sales develpoment and suport. After that handeled corporate marketing for NCB for 3 years. Wored in Bank AlJazira for 4 year as Senior Marketing Manager and Head of Degital Marketing. Over all than 12 yeas of banking industry with multiple areas of experties. Industry Manager at Google. For the last year and a half, he’s been involved in developing and growing the kingdom’s digital capabilities through multiple projects and initiatives. In addition to that, he is an active member of the local startup’s ecosystem through various platforms. Before joining Google, he worked in management consulting with Marco Strategic Advisors, and information technology with SAP & IBM. 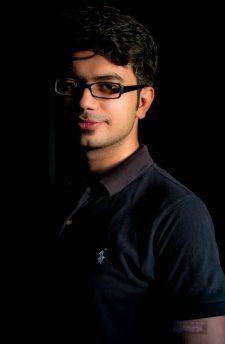 Abdullah has a bachelor’s degree in information studies from IMSIU followed by advance strategy studies from the London School of Economics and Political Science. Experienced investment adviser, now working in the Mining & Metals industry. Acclaimed socio-economic writer and former columnist and market commentator who is widely quoted on saudi economy (labor, women economics). In 2012 she was ranked the third most powerful Arab by “Arabian Business” for her work to activate women participation in the worksforce. 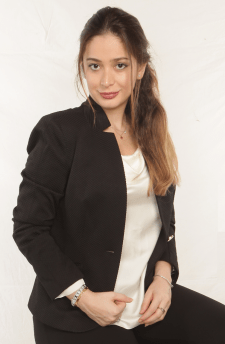 Reem is passionate advocate of startups and serves as a judge at the MITEF since 2013. Strategic & Business Development Director for Meltwater Middle East. After obtaining a Bachelor’s degree in Computer Science & Artificial Intelligence, she worked for 3 years at Emerging Technologies, a speech recognition company. 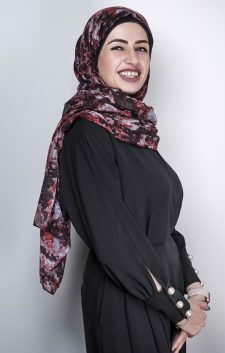 In 2010 Laila joined Meltwater Abu Dhabi as a media monitoring and analysis consultant focusing on a wide portfolio of governmental clients across the GCC including UAE Ministry of Culture, Bahrain News Agency and Saudi Ministry of Commerce & Industry. In her current role, Laila is leading Meltwater’s expansion into the GCC Markets; in addition to her focus on consulting businesses on social media and PR strategies. An advertising professional with 7 years of experience with Google. With a background specialising in programmatic video and display, today she leads the tech conversations with agencies in MENA. Outside the world of Google Marketing Platforms, she has a passion for singing jazz and enjoys dancing and travelling the world. 11 years’ experience in Media, Marketing, Technology & Product Development, attending major brands such as Coca-Cola, Unilever, J&J, L’Oreal, Pernod-Ricard, Nestle, KIA , LATAM Airlines, Air France-KLM & Nissan Motors. Under the MCN structure, leads the Programmatic & Performance hub covering 17 markets and +100 clients serviced, with recent big moves and cases on key Industry topics such as Viewability, Brand Safety, Attribution & Data Management, Technology Integration, Advertising Automation, Interactive and Dynamic Advertising. 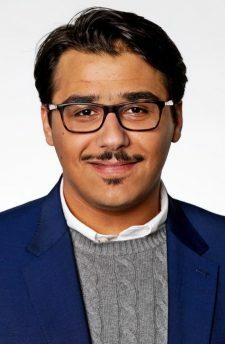 Kinda Ibrahim @kindaibrahim joined Twitter as the Director of Media Partnerships for the Middle East and North Africa. Her team focuses on accelerating Twitter’s push for content partnerships across the news, politics, sports, TV and entertainment verticals through working with key publishers to prioritize Twitter as their first and immediate platform to reach, delight and engage with their audience across Twitter’s live, public platform. Kinda has over 12 years of international experience in digital media, marketing and analytics acquired in both the Middle East and North America. She joins Twitter from Microsoft where she was the Editor-in-Chief responsible for English MSN Arabia. Prior to that she led the media operations division at Yahoo Maktoob. 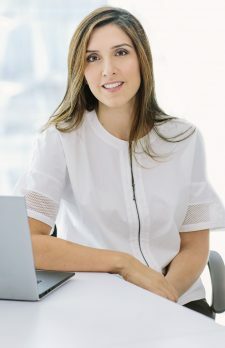 Previously, she played an instrumental role in shaping the digital and data strategy at companies such as EMAP Middle East, the Yellow Pages group and the National bank of Canada. Graduated in Marketing & Management but found his passion in media, joining OMD in Doha in 2010. 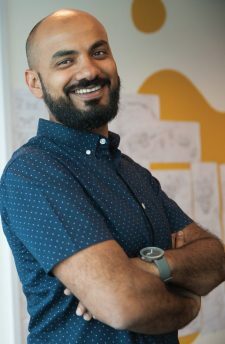 There he worked in ATL planning but barely a year later relocated to Dubai to handle digital planning for a portfolio of clients in the Lower Gulf. 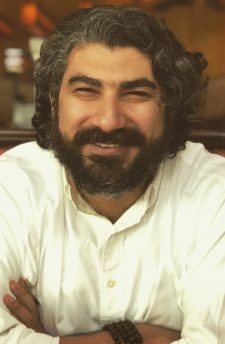 With his experience covering a range of sectors and client challenges, today Rabih leads the digital function for OMD’s two operations in Saudi Arabia and their clients. With his expansive digital expertise and his deep understanding of the region’s digital habits, Rabih is able to not only elevate brands’ appeal but also relevance with their consumers, transforming clients’ performance through innovation and effectiveness. 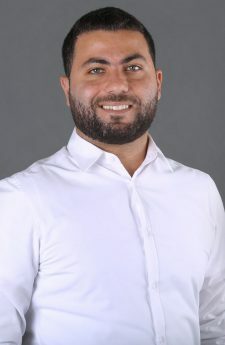 Co-founder and CEO of Kijamii, the leading and award winning Digital Advertising Agency in the MENA region named the Independent Agency of The Year in Dubai Lynx 2019 with offices in Riyadh, Dubai, Cairo, & Originally a computer and systems engineer graduate, Bassem decided to shift career to pursue his passion in the digital advertising world. 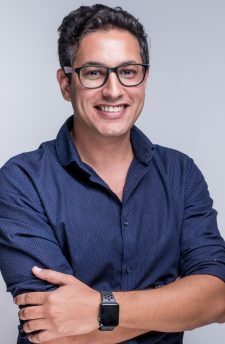 Through his strategic leadership and deep digital expertise, Bassem succeeded in growing Kijamii exponentially to work with some of the world’s leading brands like Netflix, Google, Deezer, Huawei, Liverpool, AS Roma and DHL among others on building their digital presence in the MENA region. Bassem has been heavily active on the social front where he co-founded TEDxCairo. The platform grew to become one of the leading TEDx platforms and biggest communities globally. Over 15 years of marketing experience across different brands and categories. Joe has been with UM for 9 years and has been an integral part of leading UM towards becoming the largest media agency in the region – developing the product offering, driving growth, building teams, galvanizing people, and contributing to advertisers’ business success. Digital Media Director with 12 years of media & publishers marketing experience, handling key regional accounts across the Middle East, specialized in digital media investment and trading across all platforms ,extensive sales experience in Digital Media including Display, Performance and Mobile. Leading Accenture Digital Studio in Saudi Arabia, using a design-thinking approach to help clients develop and deliver digital innovations through smart, connected, products and services. She started her career in technology and communications working for Cisco for 10 years and then for Saudi Telecom Company, where she built and led the Government Relations department. 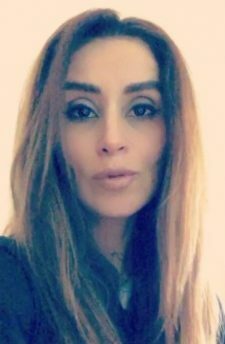 Shahd is passionate about encouraging women in technology and is strong advocate and public speaker about the advancement of women in the workforce. As a local community organizer, she co-founded “CellA+”, a non-profit organization endorsed by the Minister of Labor as an initiative for solving women unemployment in the region. She is also an Eisenhower Fellow, where she focused on women economic enablement. Founder and CEO of MAGNiTT, is the largest investment data platform for the MENA startup ecosystem, be investors, entrepreneurs and corporates. 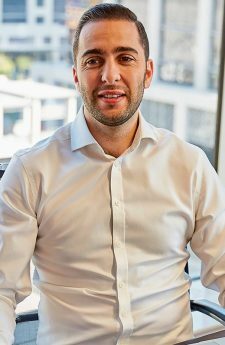 Raised in the UK with Iraqi origins, Philip obtained an MBA from INSEAD in 2013 and a BSc in Economics from the London School of Economics. 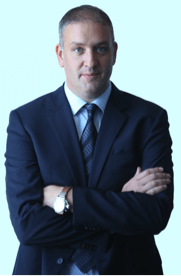 During his time in Dubai, Philip worked at Oliver Wyman in the Financial Services practice for three years, followed by nearly three years at Barclays Wealth working as Chief of Staff to the CEO advising on strategic initiatives. Philip has lived in the UAE for more than ten years and is passionate about developing the MENA startup ecosystem. Started his career in media in 2008 where he mainly focused on work related around traditional media. 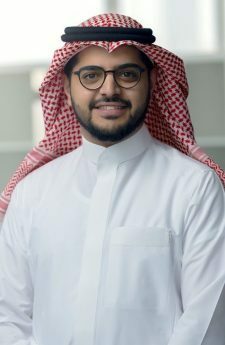 After two years of experience in the Saudi market, he joined Mindshare Saudi Arabia in 2010 as a junior executive within the digital function. Since then, his work revolved around facilitating all digital conversations of Mindshare Saudi clients. Also, bringing the latest in terms of digital trends, ideas and tactics to deploy across different verticals. 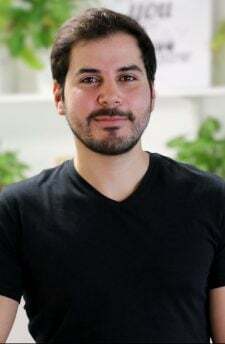 Elias has been heading the digital function for KSA for 4 years now and he has a curiosity towards mobile & content marketing as well as attribution modelling. 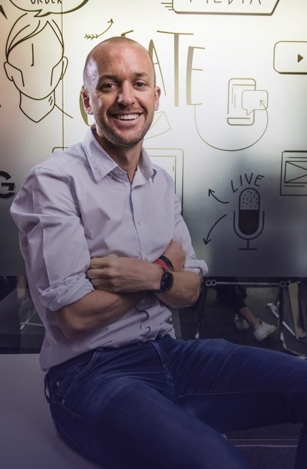 A serial entrepreneur, who is currently Partner at Meltwater. With his experience focusing on technology, global strategy and expansion, Zubair has a pedigree for developing leadership talent across markets. He has a degree in European Law / Masters in Medical Law from the University of Amsterdam. Given his thirst for education, he has recently completed a Post Grad in Global Business at the University of Oxford. 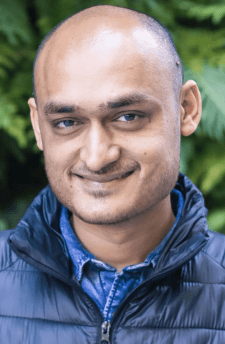 Having worked extensively across Europe, Middle East, Africa, India, China, Japan and South East Asia, his passion is emerging markets and their interplay with data and machine learning. Zubair continues to be an active commentator for style, design and culture, given his exposure to travel. Holds an MBA in strategic management from the University of North Texas, and in his corporate life has worked with such notable organizations as Unilever, the International Monetary Fund, and Emirates Airline. Currently he is a serial entrepreneur and investor, with a diversified portfolio of technology startups including innovative web platforms and mobile apps. 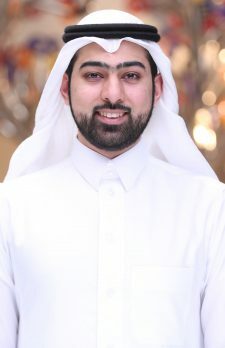 Aiman is passionate about enabling and supporting the entrepreneurship culture in the GCC, and has co-founded the platform eleva8or.com which offer many investment-preparation tools & connections for startups. Over the last 5 years he held several engagements as a mentor, speaker, judge, consultant, panelist, lecturer and coach in this field. Holds a MS in Industrial Engineering from Ecole Centrale de Paris. He started his career in strategy consulting at Oliver Wyman where he advised leading Retail and CPG players in Europe and the US. He joined Uber in its early days in France in 2013, participating in building what’s today one of the largest markets for the company. 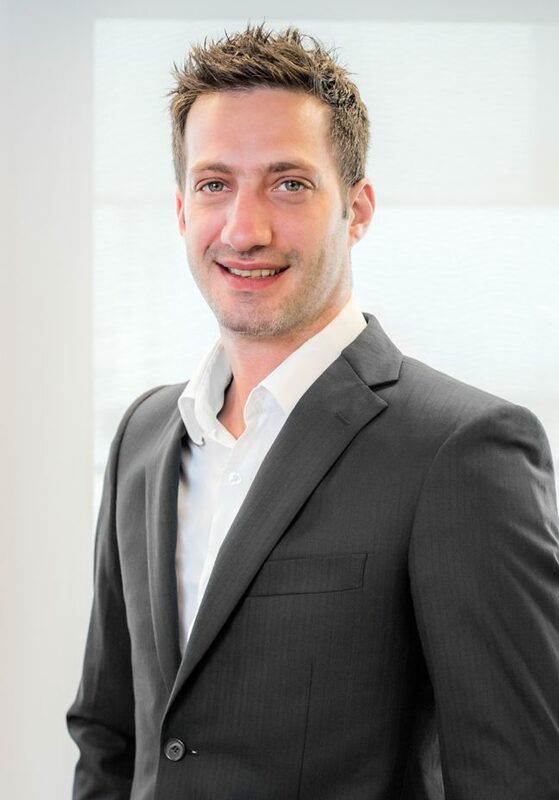 He moved to Amsterdam in 2015 to take the lead of the Strategy team for the EMEA region. 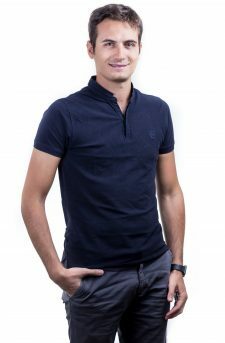 Damien relocated to the region in December 2016 to lead the Uber Eats business locally, and currently covers the GCC, based out of Dubai. Has been leading the lookout for digital expansions and advancements in MENA for over 13 years, helping top brands in LEVANT, GCC, and North Africa build ROI driven digital strategies. In his capacity as a VP Commercial for the leading digital media provider in the region, Megahed is regarded as the go-to expert when it comes to rolling out digital product advancements, and has eliminated the entry barriers for the world’s top digital players like Facebook, Twitter, LinkedIn North Africa, Tubemogul, Verizon Media and recently Spotify, to extend their digital advertising services and solutions to the MENA region conclusively. CEO & Cofounder of DailyMealz, A wide range of interests, backgrounds and experiences, Production Engineer by education, Marketer by profession, Video Creator by passion, And an entrepreneur at heart. Project Manager at Roland Berger Strategy Consultants, Venture Partner at Mindshift Capital – a women-led venture firm for early stage angel investments, and Investment Committee member with Dubai Angel Investors. 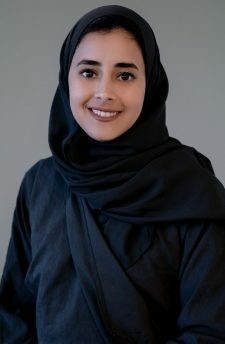 Hana has 6+ years of consulting experience with Roland Berger, BCG, and industry experience, shaping the tech & digital agenda for European and Middle Eastern clients, driving innovative and futuristic national and business transformations – in specific projects related to Vision 2030 in Saudi Arabia. She has a background in engineering and telecommunications and a passion for technology, innovation and investing. 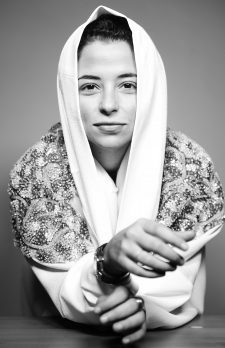 She is currently engaged with several startup ecosystems in the UAE and Tunisia, and started building her own business in Tunisia and running a successful family-and-friends investment portfolio. Co-founder of Mumzworld, responsible for the developmental strategy and growth of the business in the GCC. Leena felt compelled to join Mona Ataya, the CEO of Mumzworld, in establishing a comprehensive bilingual online shopping and information portal dedicated to everything mother, baby and child that will empower mothers in the region. Leena, a UK national who relocated to Riyadh in 2009, previously worked for Liberata, a leading business process outsourcer. Leena started her career in investment banking at San Francisco investment bank focused on the technology sector. She brings a wealth of experience to her role, combining strong analytical and financial skills with the ability to develop technology driven processes that increase access, reduce costs and improve quality. Her experience also extends to the listing of a number of Europe’s leading internet and technology firms during her time at Citigroup and Robertson Stephens International. Leena holds a BA in Electrical Engineering from Cambridge University. Leena is also kept busy by running a rich schedule for her children Hana, Ahmad and Jude. For more information visit www.mumzworld.com. 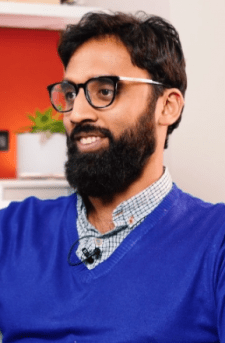 A software programmer-turned-business leader, passionate about how e-commerce and data science are changing the way retailers can exponentially grow. Professionally, hamad is the Vice General Manager of ekuep.com, the award winning B2B e-commerce retailer of restaurant and cafe equipment. CEO of MATIC Services in the Kingdom of Saudi Arabia. Monther on-boarded MATIC Services as the startup expanded from UAE to KSA. His role started as a market launcher in Saudi Arabia, spearheading the daily operations and growth in several cities across the Kingdom. Monther demonstrated leadership as he held more responsibilities in managing the overall operations and acting as the main point of communication in the KSA. His background in media facilitated in offering exposure across the Kingdom, forging partnerships with MATIC Services’ partners, media and public entities. Since founding Unifonic on 2006, Mr. Ahmed has been leading the transformation of Unifonic from a local SMS reseller based in Saudi Arabia to one of the fastest growing regional cloud communication provider, employing around 100 people and operating through multiple international offices, with further expansion plans across the MENA region. Serving 5,000+ clients, around the region, Unifonic has become a pioneer in Cloud Communications services. 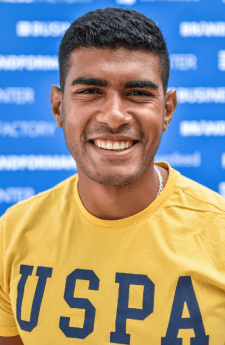 In October 2018, Unifonic, lead by Ahmed managed to close the largest round A investment for a technology company in the region closing at $21 Million. The investors include STV, RTF, Endeavor Catalyst, Elm and Raed Ventures. Mr. Hamdan brings to the task his experience from a 12-years-career at Saudi ICT companies, where he worked in different technical and business consultancy roles. A social and business entrepreneur. Joined the group in 2014 to oversee its technology functions. He is the Group CTO and the CEO of TaqniaTech, the information technology company of Al Tayyar Travel Group of companies. He is responsible for the group’s strategic planning for information technology and project management services. During his 28 years in the ICT sector, he has worked on many large-scale, billion-dollar projects in telecommunications and information technology. Have been working in digital marketing since 2012, Joined RoiHunter 2 years ago, what am doing? Helping our clients to scale their performance on Facebook through structuring and all the feature RoiHunter have above Facebook ads manager. Co-founder and CEO of HyperPay. Muhnnad has led the business to its current position as a one of the Middleeast’s fastest growing and successful online payment businesses. It is regarded as highly innovative and is seen as one of the new generation payment service providers.The company has offices in Amman, Dubai, Riyadh and Cairo soon. 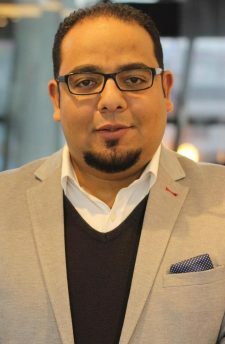 In 2017, Muhannad was appointed as board member of GatetoPay, a leading card issuing company to issue prepaid MasterCard, Visa and UnionPay card and cards soluation in Middleast region. 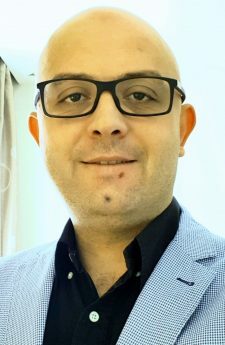 Muhannad is a certified eCommerce Consultant “CEC” and Project Manager eBusiness (PME), and holds an MBA in Management and International Business from NYIT and a Bsc in Computer Software Engineering from Pricess Sumayya University in Amman, Jordan. Founder of AMANIcircle – enabling investors to identify the right entrepreneurs to back. With a particular interest in technology such as Blockchain and AI, she peels back the layers on the people behind the technology. She helps investors distinguish between founders with real potential and those with no substance, their ability to execute, the potential impact of what they’re building on business and society, and what’s needed to unlock value. Past clients have included: AXA Investment Managers, Credit Suisse, ACE European Group, Carlyle Group, GFI Software, Gulf Investment Corporation, KPMG, Millicom Cellular, Saudi British Bank and select Family Groups. A member of the London Blockchain Foundation, Deborah is a frequent speaker on leadership, innovation and ethical practices around data and technology. CEO, Technology Investments Company, with focus on tech investments in MENA. Vice-Chair, Saudi British Joint Business Council. Board member of various technology and telecom companies. 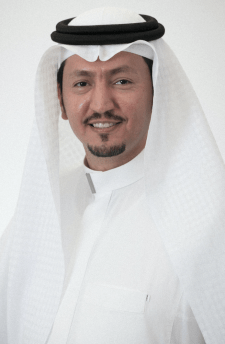 Mr. Alawadi is an investment and technology professional with over 20 years of experience in engineering, operations and capital management and a graduate of the University of Texas at Austin. 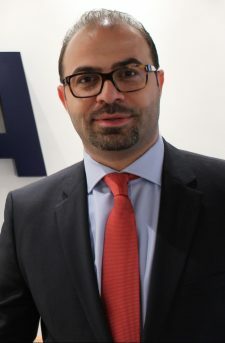 He joined Jadarah Talent Accelerator Programme in 2018 after earning a Master’s in International Healthcare Management, Economics and Policy, from Italy-based SDA Bocconi School of Management, building off his background in Finance. The programme served as a great springboard out of the pharmaceutical industry and into the tech field. He had the opportunity to work with private and government-funded projects in Bahrain, KSA, Italy, and India before moving to the UAE. 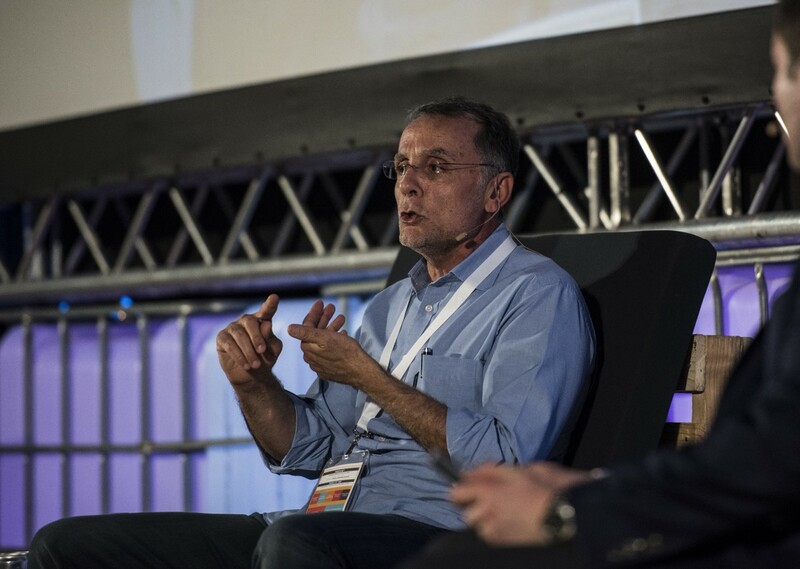 After completing his participation in the programme, Ardati supports the Strategy & New Ventures functions in the organization. Pursued a double major in Accounting & Marketing at the University of San Francisco with a minor in Graphic Design. He started his career in the oil & gas retail industry and the banking & financial services industry. His career also included a stint in the telecom industry which enabled him understand the need for value added service innovation to become more consumer-centric and technology-driven. Ali Abulhasan founded Tap Payments in 2013, disrupting the Fintech industry in Kuwait, to solve online payment problems in Kuwait & the region by enabling all businesses to accept and collect online payments in days rather than weeks. The company today serves businesses of all sizes in nine countries within the MENA region. The General Manager for the Kingdom of Saudi Arabia. 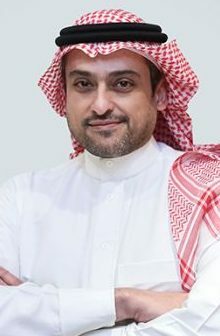 He is responsible for overall strategy in KSA, including business development, resource optimization, and building long-term partnerships with Visa’s clients, government, regulators and other key stakeholders to drive the adoption of cashless payments and digital transformation in the kingdom. Ali joined Visa in 2012 to manage the company’s lead accounts. Following which, he successfully led Visa’s Saudi business development team, continuing to grow Visa’s market share through higher yielding partnership deals in the country. Ali’s career spans across various industries including telecom, advertising and consulting, in Saudi Arabia and Lebanon. Before joining Visa, Ali was the Head of Marketing and Corporate Communications at Riyad Bank where he successfully developed and executed their brand strategy to support the retail bank’s business goals. 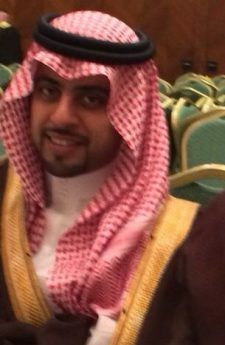 Prior to that, from 2006 to 2010, Ali was the Head of Marketing and Research at Saudi Hollandi Bank/ABN AMRO, where he worked in segmentation and product development. During his time at Saudi Hollandi Bank/ABN AMRO, he led the launch of a number of innovative firsts in the retail banking space. He was also a representative of the Saudi Central Bank Marketing Payments Committee. 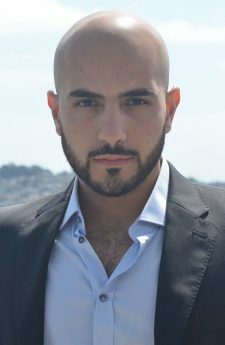 Ali holds a Bachelor of Science in Business Management and Marketing from the Lebanese American University and completed several leadership, strategy and decision-making programs at Harvard University and MIT Sloan Management. Joined TIME in 2012 as a Communication Agent, due to his previous experience in the entertainment industry in Saudi Arabia. His engineering background combined with his financial analysis skills opened the doors for him to get promoted several times and to become the company’s Executive Director. In his role as an Executive Director he solidified the company’s relationships with government agencies and took its relationships with international content providers to the next level. Obada’s connections and skills were key elements in closing major deals for the company with some of the biggest players in the entertainment sector in the world. The Founder & CEO of SquareCircle Tech. 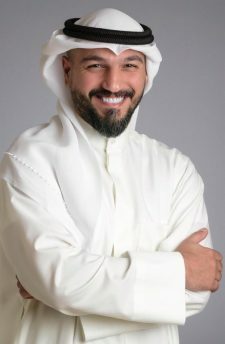 With 15+ years of experience in technology strategy, innovation, business development, international expansion, he incorporated SquareCircle Tech in 2014 with a vision to bridge the Code to Customer gap and create a geography agnostic ecosystem of technology product companies to assist them with investment and scale in the MENA & SEA markets. Sameer has been rooted in Dubai for the last 15 years and spent several years in technology development and delivery across MEA in the Petrochemical, BFSI, government sector in quality, business excellence, operational efficiency, innovation and startup ecosystem. 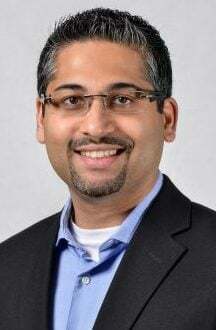 Sameer has also designed, led and delivered various corporate innovation programs, innovation challenges and hackathons to bridge strategy and execution for governments, global corporations and startups. He was actively involved in conceptualizing and setting up the first corporate accelerator in Dubai for DP World. He continues to serve as a mentor for several entrepreneurship programs in the MEASEA region. Salman T. Jaffrey is the Chief Investment Officer at Saudi Aramco Entrepreneurship Ventures (also known as Wa’ed Ventures), a $200 million venture capital fund established by Aramco to invest in promising Kingdom-based entrepreneurs and ideas that promote economic development in Saudi Arabia, and the entrepreneurship and innovation ecosystem in the Kingdom. The fund targets innovative and impactful, early-stage startups that have high growth potential, offer scalable business models, and are led by committed entrepreneurs. Salman is also an investment committee member for the ‘StartUp Lab’, a technology and innovation-driven incubator and seed fund at the Aramco Entrepreneurship Centre. Salman has more than 13 years of experience consulting and investing in venture capital and private equity deals. He has led a number of investments across the deal continuum – from originating, evaluating and executing deals to maximizing investment value – and has managed a sizable investment portfolio. 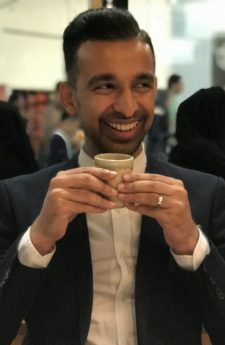 As an investment specialist, Salman has focused on business valuation and financial due diligence across a diverse range of sectors including technology, healthcare, hospitality, retail, and energy. He has consulted on venture capital and private equity investments, mergers and acquisitions, buy and sell-side mandates, strategic planning, market entry, carve-outs, and divestitures. Prior to his current role, Salman was the Chief Financial Officer at Saudi Aramco Energy Ventures, a $500 million corporate venture capital fund that invests globally into early-stage and high growth companies with technologies of strategic importance to Saudi Aramco, to accelerate their development and deployment in the Kingdom. He has previously worked at leading professional advisory and consulting firms, including PwC and Ernst & Young. Salman holds a master’s degree in business forensics from the University of Melbourne and a bachelor’s degree in commerce from Bond University, Australia. 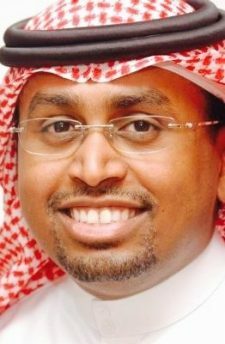 He is a Certified Public Accountant (CPA) and has undertaken several leadership programs at Saudi Aramco. Salman has also completed an executive program on venture capital from UC Berkeley and an innovation & entrepreneurship program from Stanford University. VP of Business Development at Checkout.com for the MENA region. Prior to joining Checkout.com Remo led the Middle East expansion for Travelstart. Previously, Remo helped found Africa Internet Accelerator (one of Naspers’ investments), which launched three of the fastest growing e-commerce businesses in South Africa. He also worked at Rocket Internet Australia & South East Asia where he was a founding member of the team that launched leading e-commerce companies The Iconic, Zalora and Lazada. Remo holds a Dual Master’s of Science in Management of Innovation and New Technology from Bocconi University and Copenhagen Business School. Founded Jugnoo in 2014 with the vision to transform the Indian auto-rickshaw sector. Jugnoo is the leading on-demand hyperlocal transport and logistics player of India. Samar is a serial entrepreneur and a physicist by education. He has previously worked as a researcher at IBM and CERN. He is one of the industry’s foremost speakers. Samar also founded Click-Labs, a profitable SaaS technology solution provider of Business suit called ‘JungleWorks’. He is an avid traveler and amateur photographer who likes to document the everyday world. Samar’s personal website calls him ‘Someone somewhere in a garage’ which clearly portrays his love and penchant for building new things. Before starting at BECO, Omar spent a year traveling across the Middle East and North Africa as a Seedstars Associate, scouting, coaching and investing in early-stage tech entrepreneurs in the region. He obtained an MSc in Management Science (Behavioural Science) from the London School of Economics, and a BSc in Economics and Management from the University of Bristol. Being a strong believer in the impact of technology and entrepreneurship on peoples’ lives in MENA, Omar is passionate about adding value to startups and accelerating their growth. He instigated the industry of Digital Content for Children across the Arab World. He is the founder and CEO of Lamsa, the first and leading Arabic Digital Platform for Children which is ranked as the number one application for Children across more than 10 Arabic markets on both Google’s Play and Apple’s App Store, and continues to produce, publish, and deliver hundreds of Digital Interactive Books and Literacy Content to more than 15 Million Arabic speaking Children globally. Crafting a robust creative content generating infrastructure, building a cutting-edge technology platform, and developing a strong admired brand, helped Lamsa distinctively differentiate itself across MENA. Ward has developed and nurtured partnerships with content providers, such as children books publishers, authors, and illustrators, as well as academic institutions, NGOs and government entities. On account of his vast and diverse knowledge, Ward was selected by the World Summit Awards as the regional specialist in e-content and innovation for instigating the UN Agenda for the advancement of the Information Society and Sustainable Development Goals, and also serves as an Advisory Board Member at the Emirates College of Technology. 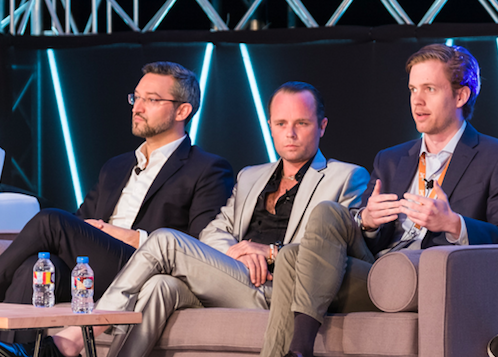 Ward has held management and leadership positions across Content and ICT companies delivering business and value growth, with deep knowledge and hands-on experience in both Consumer and Enterprise products and services, with thought leadership in the MENA Mobile, Digital, and Content landscape. Through Lamsa, Ward focuses on Early Childhood Development, exposing children to 21st century skills, consisting of knowledge, skills, values, and attitudes, for a successful and happy life in an ever-changing world where the technology advances and intercultural communications increases. 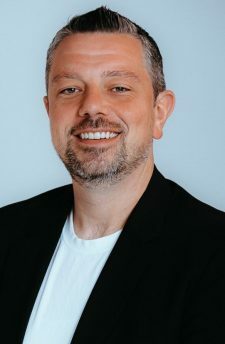 He brings more than 20 years’ experience to his role as CCO at STARZ PLAY (www.starzplay.com), the subscription video on demand service that streams to 20 countries across the Middle East, North Africa and Pakistan. He brings in-depth experience of the EMEA region’s Satellite Pay TV and Energy sectors. 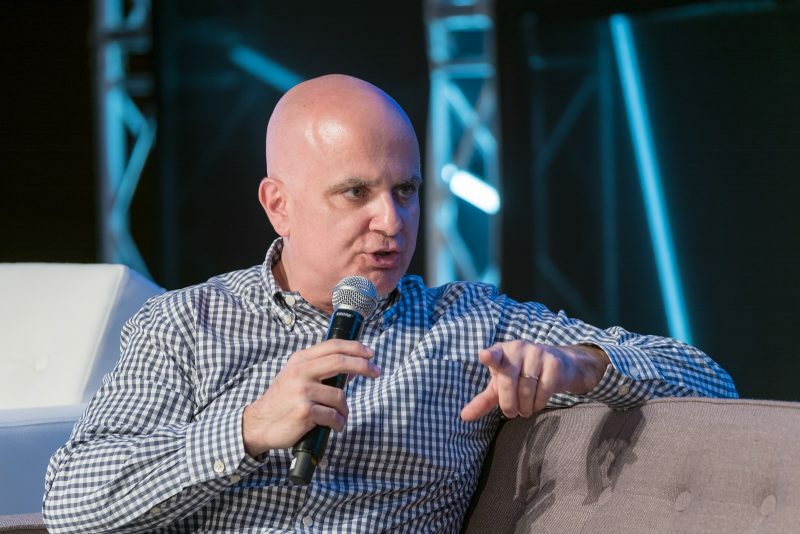 Prior to establishing STARZ PLAY, he held the positions of SVP Sales at OSN, responsible for the group’s revenue and sales across the MENA region. 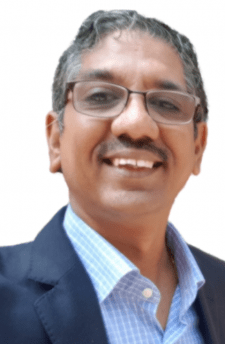 In the years spent at OSN, he held a number of roles including VP Customer Service & Operations, where he oversaw customer service, retention, customer operations, project management, analysis and planning. In his role as CCO, Danny leads the Marketing department, ensuring that his team identify and execute the services that customers demand. He is also responsible for Product and Business Development, planning and coordinating the implementation of business plans and the penetration of new markets. An Entrepreneur, Business Developer, and a Consultant with over 15 years of work experience, he is the co founder and CEO of The Space .he was the Partnership director at Misk Innovation, a subsidiary of Misk Foundation ,as well as serving as a short term consultant with The World Bank group on Innovation and Entrepreneurship , and was an Advisor for the National Digitization Unit in the Saudi Government, Omar has an MBA from IE business school in Madrid, and an Executive Master in Corporate Communication from the same school. Founder of MENAbytes, a leading online media publication that covers technology and startups from the Middle East & North Africa. Previously founded Qraar, a career discovery and development platform for millennial in MENA. One of the founders of Desert Technologies and has been Chief Executive Officer since its inception. An Executive with worldwide experience across major business functions and operations from strategic planning, outsourcing, and technology transfer to finance, real estate development & investment, and world-class manufacturing. Outstanding presentation, communication, interpersonal relations, and cross-functional team management skills. 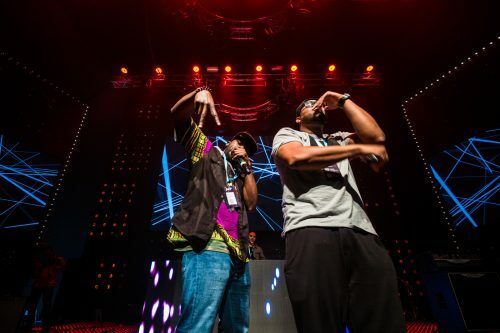 Entrepreneurial attitude, energy, and style. Nour was and still is a partner in Soho Properties, a leading real estate developer and manager over $600 million (USD) across two development towers under construction projects in Manhattan. As Managing Partner, he was responsible for the strategic and financial operations, execution of large complex transactions, and the risk management of the company. From 1998 to 2003 he was Director of Strategic Planning at Picorp Holding S.A.E., a multi-billion dollar Egyptian group with investments in the real estate, tourism, consumer goods and manufacturing sectors, where he successfully established 5 turnkey projects exceeding $200 million (USD) from inception through execution, management recruitment, start-up, & market launch. Along these projects was establishing and structuring a multinational JV with Fujitsu General Ltd as a Founding Board Member; oversaw a manufacturing start-up in Egypt distributing throughout North Africa where he directed all aspects of a turnkey JV including formulating the Articles of Incorporation and Technical Assistance contracts, outsourcing, negotiating, staffing, and management. Prior to Picorp, Nour was working in the automotive industry and was among the team that launched Nissan Egypt operations. Nour holds a BA in Production Engineering from Helwan University and a graduate diploma in Industrial Engineering from the American University in Cairo. His charitable work includes the foundation and endowment of Park51, a non-profit Islamic Culture & Community Centre in lower Manhattan. Graduated from Oxford university with a master’s degree in Major Programme Management and Earned a bachelor’s in computer engineering and Sciences. 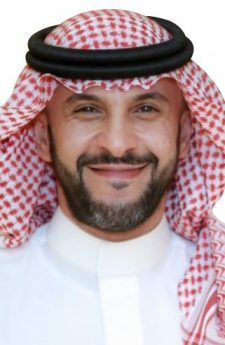 He is the founder and CEO at Sihatech, Board member in Almoosa Specialist hospital, Chairperson of the strategy and investment committee in Almoosa healthcare group, Projects committee member in the Saudi National Projects Management (NPMO). 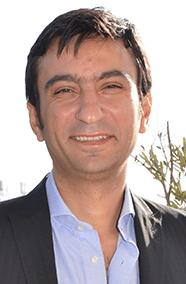 Ahmed was of the founding staff in Wassel ASP for healthcare & insurance technologies in 2002. Ahmed worked as Chief Strategy Officer for Modon, which included 28 cities planning and execution of various infrastructure and services. He was also an advisor in the National strategy in Ministry of Commerce and Industry. Before that he participated in the start of Saudi largest plans to build king Abdullah economic city. KAEC . He was also the Director of strategy and performance in MASIC investments. (Alsubeaei Investment Company) He is a former advisor King Abdul Aziz Centre for National Dialogue (KACND) and other private public and private institution. Medical doctor and Co-founder of Gulflink Social media application – working part-time in constructing the concept of “Gulflink” of which encompasses a multimedia social media application that aims to connect Arab Gulf nationals (Saudi Arabia, UAE, Bahrain, Kuwait, Oman, Qatar, Yemen and Iraq). It is a platform to empower our people and to connect them with one another by reinventing their communications through a world-class software that compensates for modern Arab youth’s needs. Nasreen Alissa is an attorney and entrepreneur. 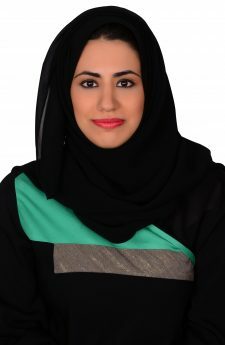 She has set up her own boutique law firm in July 2018, and it is the first law firm in Riyadh, owned and led by a Saudi female with the specialty of intellectual property, corporate and information technology. 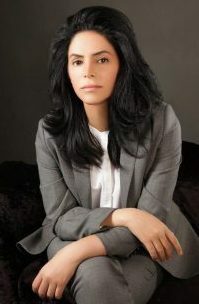 Prior to opening her own law firm, Nasreen worked as an attorney at Freshfields Bruckhaus Deringer LLP in association with The Law Firm of Salah Al-Hejailan for five Years. Nasreen has two mobile (IOS and Android) applications. Knowyourrights: The application is one of a kind and first in the Middle East. It was made to educate Saudi women on their legal rights in courts and in family law matters. Gulflink: Gulflink is a multimedia messaging app made exclusively for the Gulf area: Saudi Arabia, Bahrain, Kuwait, Oman, Qatar, United Arab Emirates, Yemen and Iraq. With the 21 st century youth staring more at their screens than at their peers, Gulflink comes with the message to improve communication and enrich our youth with more than meaningless social media. Gulflink delivers high-end products that meet with our demanding and intelligent youth and to our people on a different level. An Electrical Engineer with a Ph.D. in Computer Science from LSU in Baton Rouge, Louisiana. He began his entrepreneurial journey back in 1986 when he co-founded GloboNet (the first Internet Service Provider in Louisiana). He coached his teenage boys into entrepreneurship at age 13 & 14. They built three companies – Chillax, AidMaid, and BlocMint, pitched and presented at regional conferences, and became stars in the region (www.aidmaid.net/gallery.html). He led his daughter into social entrepreneurship; who at age 10 created the “Smiles Initiative” to bring some joy to the less fortunate. http://smiles.aidmaid.net Dr. Yaghi is a recognized expert in the digital transformation space and he is an advocate for youth empowerment and Blockchain use. He preached Blockchain and digital transformation at conferences and meetups in USA, Saudi Arabia, Dubai, Bahrain, Jordan, Lebanon, London, and India. Currently he is the CTO at Alhamrani Group, one of the conglomerate family businesses in Saudi Arabia. He also sits on the Board of Advisors for several startups. He is a recipient of several distinction and excellence awards. 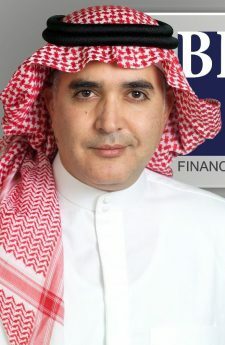 Chairman and CEO of BMG Financial Group (“BMG”), Previously, he was Managing Director at The International Investor, London, UK, and prior to that, he was with the Investment Management Division of The National Commercial Bank of Saudi Arabia in Jeddah and London. Since BMG’s inception, Al-Ghalayini has been acting as team leader for equity and debt capital market transactions such as Rights Issues, IPOs and Private Placements, as well as leading a Government mandated assignment for the comprehensive review of the insurance sector in order to arrive at a set of recommendations for the sector’s eventual consolidation. He is also a frequent participant in official business delegations representing the private sector of Saudi Arabia. Al-Ghalayini is the Chairman of Authorized Persons 5th Committee (Advisors and Arrangers). 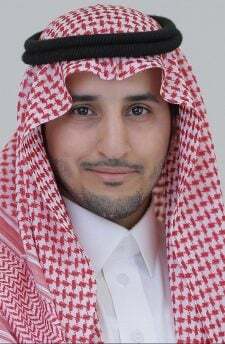 He is the Chairman of AkarOne in KSA. He is Non-Executive Director of BMG Wealth LLP in the UK. He is the Chairman of BMG Foundation. He was the Secretary General of the Arab Bankers Association of the United Kingdom, Vice Chairman of Saudi-British Businessmen Council and Chairman of Saudi-Syrian Businessmen Council. He received his B.Sc. degree from King Saud University, KSA, CSS from Harvard University, USA, and IMD from London Business School, UK. 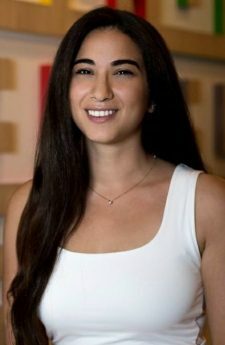 Adwa AlDakheel, a businesswoman, a stock analyst, first place winner of 3 Capital Trading Market competitions, a professional guitarist, an author of a best-selling book in Saudi Arabia, a licensed pilot, an award-winning poet, a Squash champion, and one of the most influential figures on Social Media in the GCC region all by the age of 25. 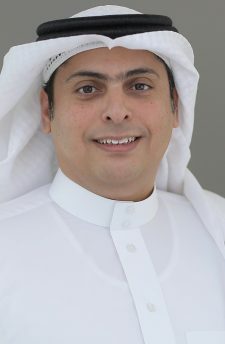 In a recent study done on the most influential Social Media figures in the Middle East, Adwa was in the top three long with Ahmed Alshugairi and Thunayan Khalid; with a reach of over 2+ million individuals on social media, Adwa’s content revolves around education, social responsibility, and lifestyle. In another study done by Ithraa Consulting Group, university students were asked if they had a role model, and 80 percent of the students answered Adwa Aldakheel – mostly due to her close age to these students. Because of her eclectic range of interests and subjects to discuss, Adwa’s personality and content appeal to a large audience from all different ages and background. Managing Director and Found of Augustus, a ‘new media’ company, publishers of Lovin Dubai and Lovin Saudi. 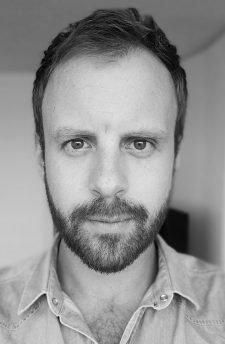 He has been working in the media advertising space for the past 12 years at agencies in Ireland, England and the UAE on clients such as The Coca-Cola Company, HSBC, Nissan, Nike. Fascinated about changing media consumption habits, and passionate about creating effective brand communications through native adverting, Richard aspires to making Augustus the ‘new media’ company of choice in the Middle East. STEP Saudi hosts panels and fireside chats with 4 content tracks; runs workshops and programming simultaneously covering startups, digital media, fintech, and future tech. With 100+ startups showcasing and 50+ companies and government entities, STEP Saudi hosts multiple programs to facilitate connections with investors, clients, partners. STEP Saudi curates focused networking opportunities and meet-ups across industries, job levels, and interests hosted by VCs, incubators, digital agencies, and other partners. 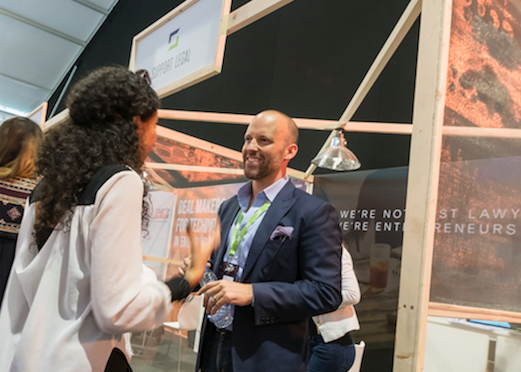 Tech companies and brands across multiple industries will participate at STEP Saudi where startups and attendees get the chance to connect with the best in their industry and learn what’s new in the market. 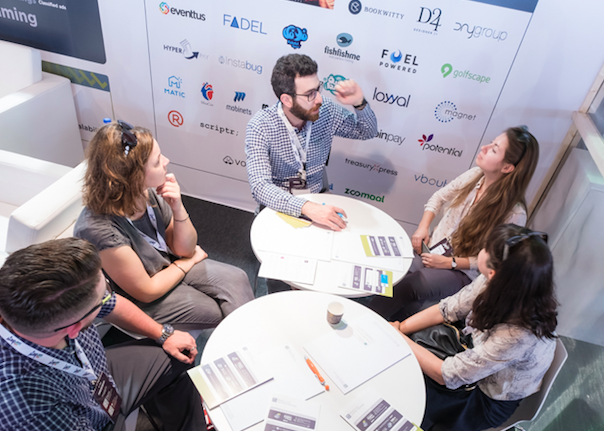 Leading brands in the tech and digital space from FMCG brands to automotive companies, banks, media, and tech solutions, host first-of-their-kind activities to interact with attendees and startups. 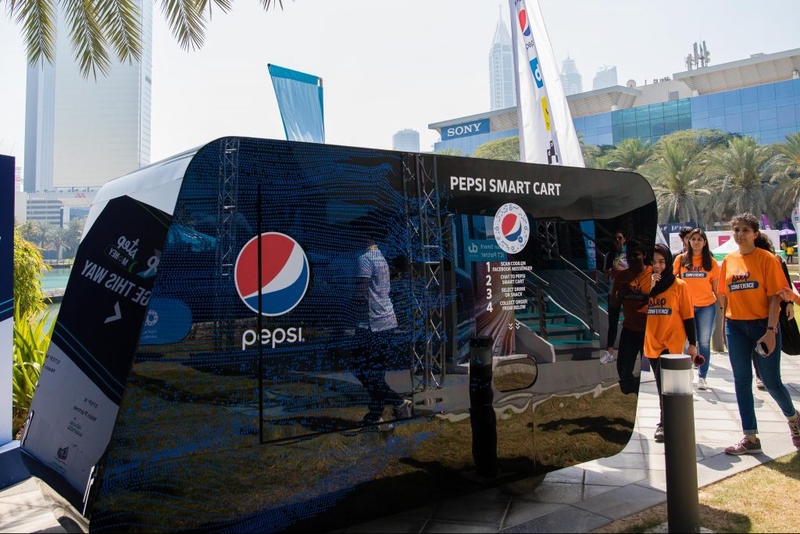 STEP’s Saudi festival creates engaging networking opportunities beyond conference programming with outdoor activities such as food trucks, music performances, and pop-up vendors across the event areas. Seven Moons is a trendy and modern space in the north of Riyadh located next to Riyadh Park. Seven Moons consists of seven domes, which makes it feel like a colony on Mars and that’s why we love it.